Tyler was born in San Angelo, Texas in May 1977 and graduated from Menard High School in 1995. In August of ’95 he moved to San Angelo as an Angelo State University student. After several semesters there he was still uncertain of his major so he took a few finance courses just to try them out. Unbeknownst to him, many finance courses revolve around Real Estate. Tyler was immediately drawn to this field; his family has been in the Real Estate business since early 1960. “Jody” Wright, Tyler’s paternal grandmother, started Menard Real Estate in 1960. The company has been family owned and operated ever since. Tyler’s parents are also both licensed Real Estate agents. In May of 2000, Tyler graduated from ASU with a Bachelors in Finance with a Real Estate Option along with a minor in Marketing. After graduating, he moved back to Menard to help his family and begin his career. Tyler takes pride in the fact that he gets to carry on the family tradition and truly enjoys his job, especially the awesome people he’s able to meet. Tyler is also proud to say that some of his good friends were once potential clients. Cleat was born into a ranching family near Marfa, Texas. The ranching life and environment developed his work ethic at a young age and taught him the values of honesty, discipline and dependability that he has successfully used throughout his business and personal life. He earned a BBA degree in 1989 with a major in finance and a minor in marketing. After a brief career in banking, Cleat became a licensed real estate salesman in 1993 and joined the brokerage started by his mother in law, Carolyn Renfroe, in 1969. 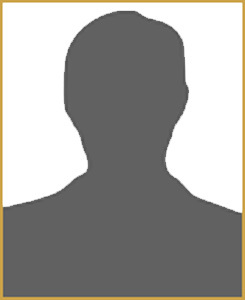 He became a licensed broker in 2000 and eventually assumed ownership of the company. He has brokered countless transactions involving residential, commercial and ranch real estate representing sellers as well as buyers. Cleat has over twenty years of experience in business and an extensive background in all phases of real estate and real property title including surface and mineral estates. He is a family man with a wife of 27 years and two daughters and has a true affection for the land, ranching and its heritage. Joe David Yates is a 3rd generation rancher from Llano and San Saba Counties. He currently ranches in the Texas Hill Country, Far West Texas, and New Mexico. 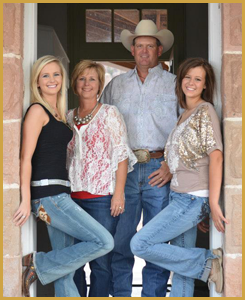 Joe David has 26 years experience in real estate and is licensed in Texas, Oklahoma, and New Mexico. His passion is Farm & Ranch real estate. He and his wife Heather and their two children, Sloan & Savannah , live in Mason, Texas! They take an active part in the community and Joe David also serves as a director for Capital Farm Credit & a member of Texas Southwest Cattle Raisers Association.